Dr. Dong was trained in China, and have been practicing Acupuncture, Tui Na massage and Chinese herbal medicine for over 25 years. He has worked together with many famous acupuncture expert and male problem specialist during this time, and have been admitted as a full member of the Association of Traditional Chinese Medicine (ATCM) UK. We can create a tailored, comprehensive and affordable health plan for you. No standard treatment, every plan is specialised to each individual patient. We offer comprehensive relaxation treatment, detox treatment and body natural care. 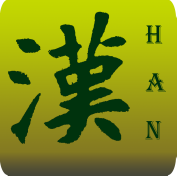 Han Acuherbs was established in 2008 and has given treatment to over a thousand patients over the years. Our Doctor is fully trained and qualified with over 25 years of experience, and have been admitted as a full member of the Association of Traditional Chinese Medicine (ATCM) UK.